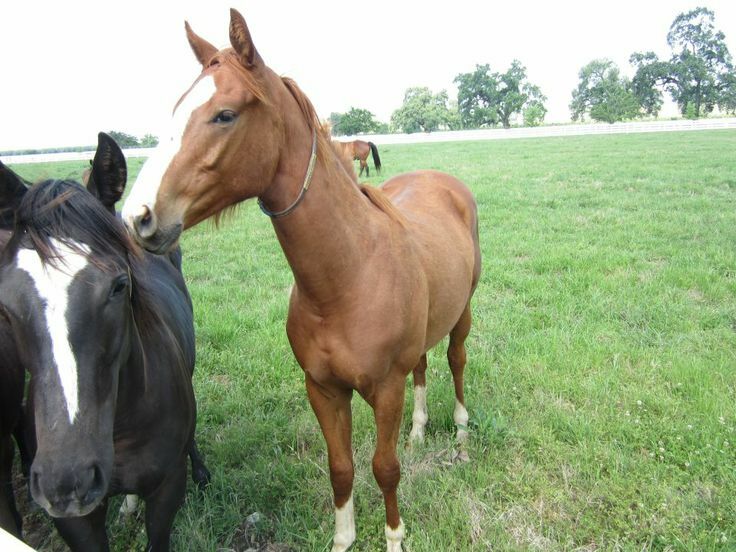 I'm trying to decide between three mares to go in on a soon-to-be-born foal, all sired by the same stallion. The mare with the best TrueNicks (B+) rating with the stallion has weak back pasterns, a flat croup, and withers that are a bit too prominent. The mare with the best conformation has only a C+ TrueNicks rating with the stallion. The third mare has an F TrueNicks rating although her conformation is decent. These are what might be characterized as mid-level mares in terms of value, and they are carrying foals from the stallion's first crop. Which would you choose. (This is a genuine question...really would value your opinions.) Would you place more value on the TrueNicks ratings or the conformation, or some other criteria? Speaking from a boundless amount of no experience as a bloodstock agent , I think I'd go with the C+ mare with the best conformation. As I understand it, a TrueNicks rating creates stats by pooling results from a bunch of mares of a certain bloodline who have been bred to this stallion or his bloodline. So, for an individual mare, it may indicate how the odds stack up, but it doesn't know how this particular mare will do. But her conformation is known to you. It's not guesswork when it comes to how she's put together. Maybe her odds are better. BaroqueAgain1 wrote: Speaking from a boundless amount of no experience as a bloodstock agent , I think I'd go with the C+ mare with the best conformation. I agree to this. Nicks should be looked at as additional info. You should look for a stallion that will build on the mare's weakness as far as conformation goes. Nicks can and do change with more additional info, conformation is a constant on a horse. Thanks to you both and am glad you are in agreement. The mare with the better TrueNicks score has really bad rear pasterns that sink downward rather alarmingly as she walks and moves around. I like the C+ mare much better but the low-ish TrueNicks score was a little worrying. She is by Munnings out of an Unbridled Song mare. This will be her 2nd foal. Her first is a nice-looking just-turned yearling colt by Tiznow. As others have said, Nicks are just a tool to use. I wouldn't put much stock into them in your situation. There isn't a lot of data to use on that particular stallion or his sire(his sons at stud have not had starters yet). Use the same mare and another stallion from that line and you will get a different rating for nearly every single one. 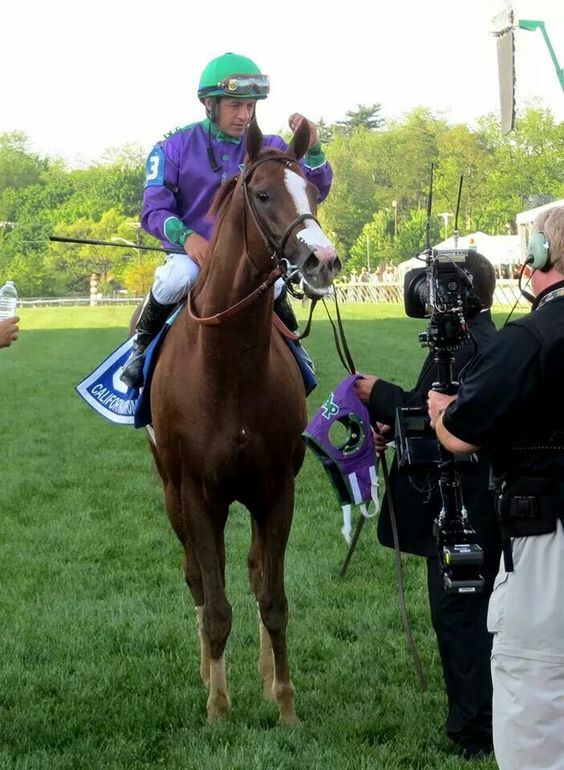 I think you need to look at which mare has the conformation that compliments the stallion the best, showed ability on the racetrack and has the strongest female family. I agree with Flanders re ability & female family in addition to conformation. But (and I don't know, I'm just throwing this out there) are the mares all roughly the same age, or might the worrisome pasterns have been exacerbated by being older and having carried foals before? Either way, I think you'd be happier going with your gut feeling/s. For what little it's worth, I'd like to second Flanders. My reasoning is more from the sport horse world though. A foal with decent conformation will yield a foal which, even if they can't run, will be easier to re-home from an aftercare perspective. From another perspective: take all TrueNicks with a huge grain of salt. Majority of the ratings are based off data pools that are so small as to be statistically insignificant. If I recall correctly, zenyatta's nick was rated a D- prior to her G1 victories. Last I hear, her nick is now magically an A. So, grain of salt is definitely in order. Honor Code wrote: For what little it's worth, I'd like to second Flanders. From a different perspective: take all TrueNicks with a huge grain of salt. Majority of the ratings are based off data pools that are so small as to be statistically insignificant. If I recall correctly, zenyatta's nick was rated a D- prior to her G1 victories. Last I hear, her nick is now magically an A. So, grain of salt is definitely in order. In Zenyatta's case, she was from Street Cry's first crop and his sire had never stood in the US. Zenyatta is one of the reasons that nick is an A now. As more horses are bred on the cross it will change the results. One thing I do not like about Truenicks is that it doesn't calculate stuff based on Foals of Racing Age but rather starters. So a Nick could have 100 foals of racing age, 20 starters, 2 Stakes Winners and it would get a high rating because that nick producers 10% SWs according to how they rate it. My internet crapped out and ate my post... but in a nutshell I wouldn't really worry about Truenicks as others have pointed out. The other thing to consider with conformation is that certain flaws are purely aesthetic and don't affect biomechanics or a horse's performance (prominent withers aren't a biomechanical flaw). Some good horses, even great horses have overcome some pretty surprising physical flaws. 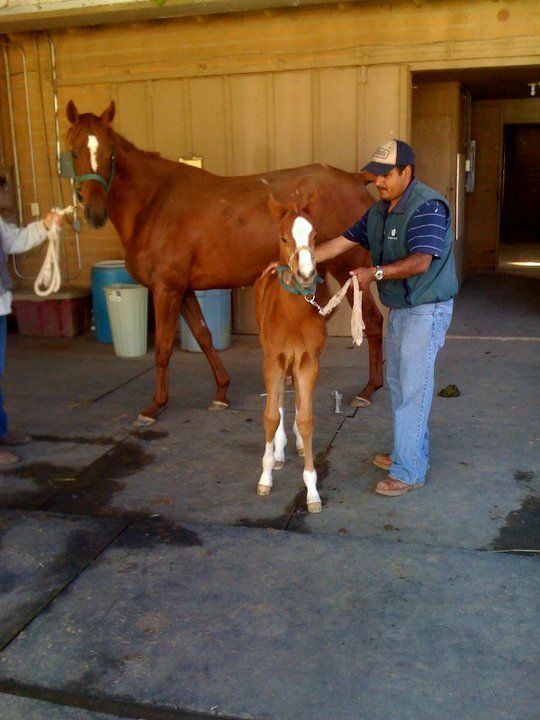 Other flaws are the results of injuries or wear and tear from life taking its toll, and if they're not congenital, then chances are it wouldn't affect the foal's conformation either. One should if possible try to look at the mare's relatives. Finally, you might have a mare with great confo but just one flaw or a correct/decent trait, but that won't complement or improve on the stallion very well and vice versa. So I wouldn't just look at the mares individually, but also how they match up with the stud. I might be more inclined to go with the less correct mare if her flaws complement or enhance the stallion's qualities while making up for the stud's flaws, more than the very correct mare but that might have a flaw that is similar to the stud. As a gut thing I instantly liked Sea Mona. Colerful Bride is nice too but I seem to recall Chrome doesn't have the straightest legs from the front so if she's a little toed out may not be the best match. I liked the analysis of Sixtyfivenorth and how he explained her flaws and how they complemented Chrome's. Treve, thanks for the videos. Much appreciated. Re those three mares, the video doesn't let us really see Sea Mona's conformation, but she has a very sweet temperament, which I like. I'm not crazy about Sixty's conformation at all. Colerful is a chunky, strong-looking mare with nice bone. She does have a sleepy eyed look thanks to her long white eyelashes, but that's meaningless. She does toe out slightly on the right front, but slight toeing out is common and I don't even see it as a fault. 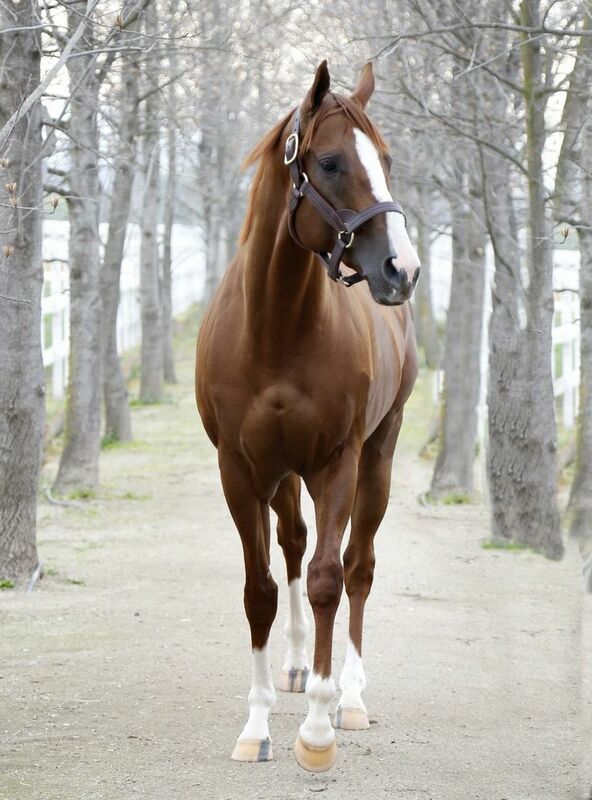 Here is one of the best head-on photos of Chrome. He is walking, so bear that in mind. But this pic shows that Chrome is not badly conformed in front. He is actually well within the norm for Thoroughbred stallions. Compare his front with that of Man o' War in the second image. 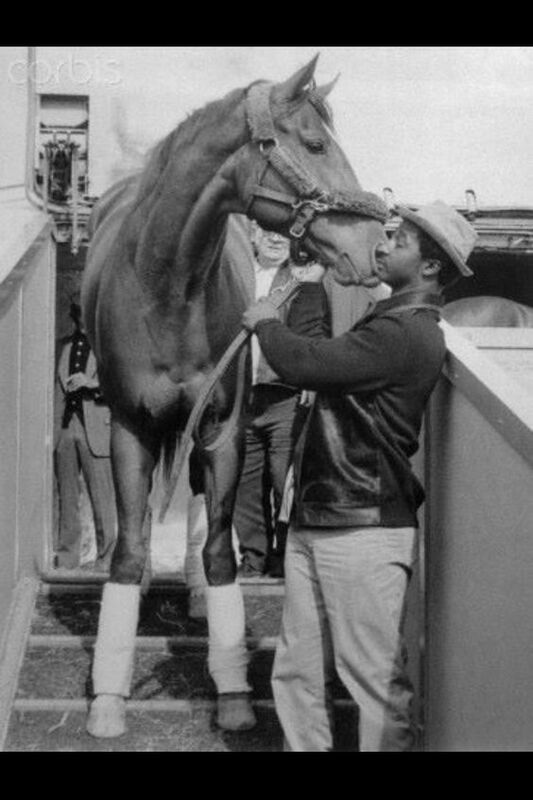 Except that Man o' War is standing and facing squarely to the front, while Chrome has one foot up because he's walking and his body is at a slight angle to the camera, the photos are very similar. Perfect for comparison purposes. There's almost no difference. 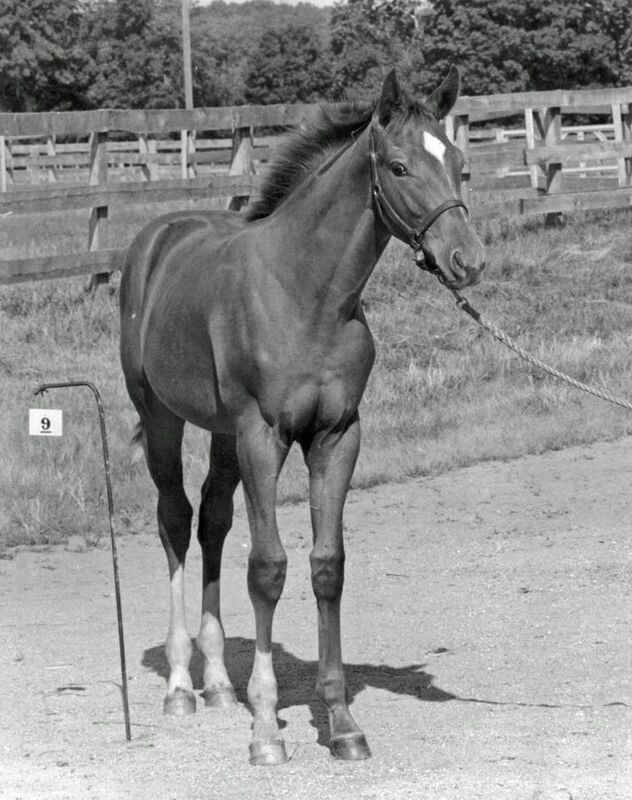 If anything, Man o' War toed out more obviously than Chrome does, while one might want a bit more width on Chrome at the bottom front of his chest between his front legs. Since no horse has 100% perfect conformation, I don't sweat the small stuff.